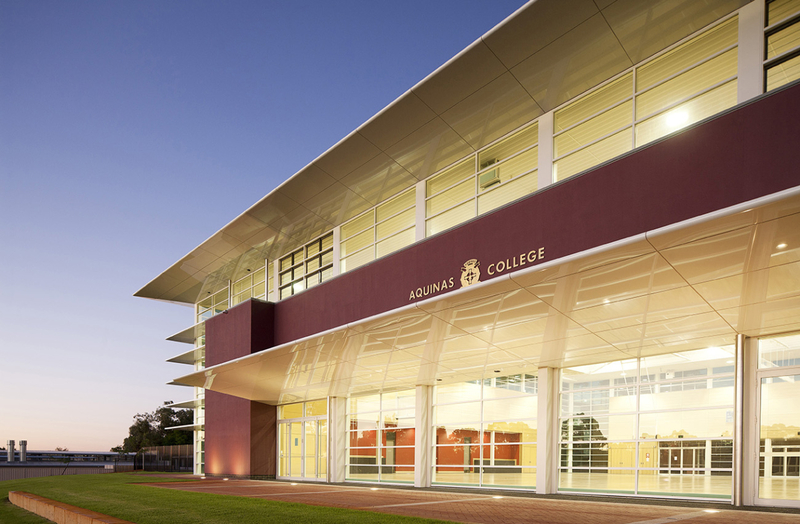 The new gymnasium at Aquinas College in Salter Point, Western Australia accommodates a two court multi-sports hall, change rooms, classrooms, storerooms and teacher prep areas. 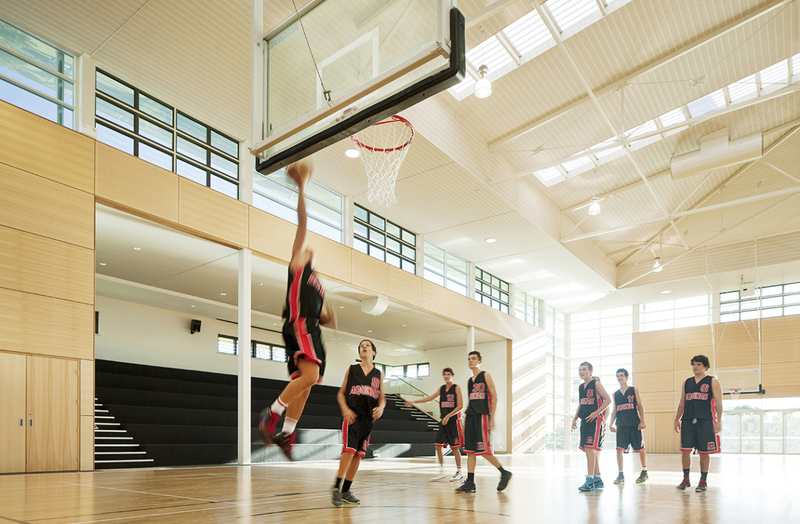 These are accessed directly from the external sports facilities, and linked back to the existing single court gymnasium. 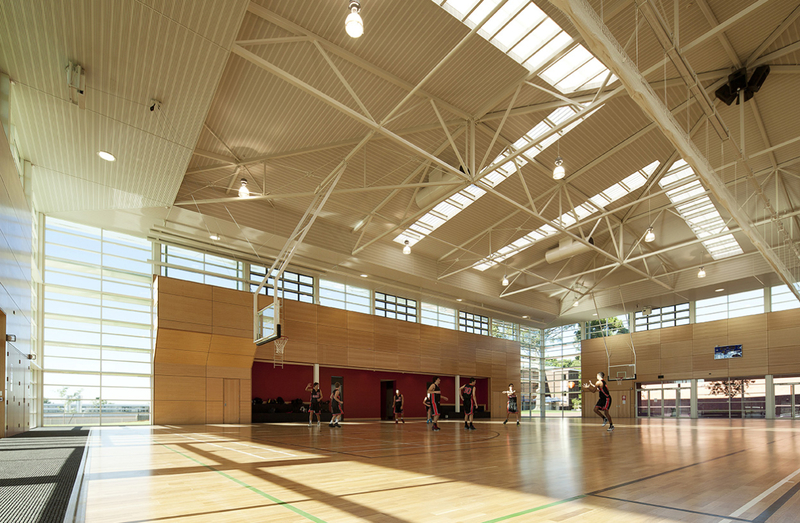 The building is designed to facilitate sports and health learning and accommodate competition events in a naturally lit and naturally ventilated space that opens up to the adjacent sporting oval. Glazed vertical lift panel doors, high level and corner windows, louvers, overhanging roofs and cantilevering sunshades are used. Low level openings together with operable high level louvers ensure good natural ventilation and purging of warm air. Insulated & perforated acoustic ceilings and wall panels provide thermal and acoustic comfort. 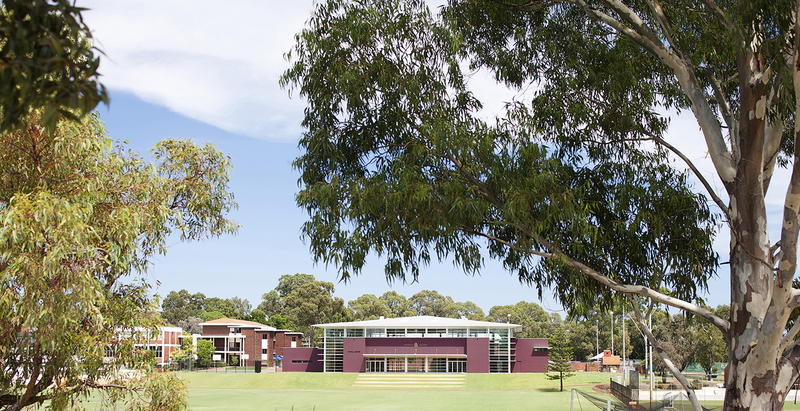 The selected materials and colours complement the existing palette of materials on the campus. 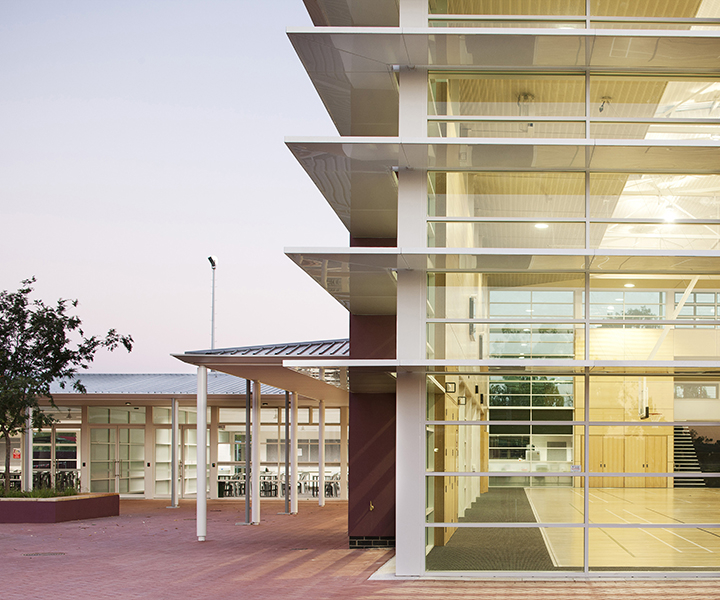 The building forms are cubic and crisp and large glazed areas make the building feel approachable & friendly as well as providing passive surveillance for teachers around the building and across the associated sports areas.